My goal with this blog is to give a brief explanation of any laws that govern public pools within the state of New Jersey. Not the most exciting of topics but it may explain why some pools are set up the way they are. Within New Jersey there are three main Laws and/or codes people should be aware of. They are: Virginia Graeme Baker Pool and Spa Safety Act (VGBA), Americans with Disabilities Act (ADA), and the New Jersey State Sanitary Code Chapter IX Public Recreational Bathing N.J.A.C. 8:26. I will endeavor to explain what they are, why they exist, and how they affect the average swimmer. The ADA was a law that was passed by congress and signed into law by George H. W. Bush on July 26th, 1990. It was then amended and re-signed by George W. Bush. These more recent changes went into effect January 1st, 2009. The ADA is a federal law governed by the Department of Justice designed to remove barriers to entry for swimming pools and spas. It is enforced on a complaint basis. The more recent changes to the law had some effect on public pools by changing the specifications and availability of handicapped entry chairs. Without going into too much detail they were generally required to be more robust and be operable without assistance. This law may not affect many people but for those it does it makes a world of difference. Small side note, do not play on the handicapped entry chairs. Aside from being expensive (you break it, you bought it, etc. ), many are battery powered and using the battery’s charge would take away from someone who might really need that chair later. The VGBA “is a United States law named after Graeme Baker, who died in an accident in June 2002, when the suction from a spa drain entrapped her under the water. She was the daughter of James and Nancy Baker and the granddaughter of former Secretary of State James Baker III. The Act was first introduced by Representative Debbie Wasserman Schultz and was supported by the Baker family and Safe Kids Worldwide.” (Wikipedia). The VGB is a federal law governed by the Consumer and Product Safety Commission. It’s designed to prevent submerged entrapment by regulating the design, covering, and maintenance of suction outlets. It is enforced on a complaint basis. Long story short, all public pools and spas were required to have safety measures put in place to prevent entrapment. Drain covers were a large part of this. Many pre-VGB drain covers were simple slatted plastic pieces (left) while VGB compliant covers have a more complex design that is much harder to block (right). Other changes were also required but the drain cover replacements were the most common and probably the most noticeable. These changes have made drains much safer but I still do not recommend trying to block them by doing things like sitting or laying on them. Yet another reason why parental supervision is required around a pool even if your child can swim. Now we are talking about the real meat and potatoes of what will have an effect on you while swimming at the public pool. 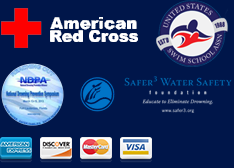 It is designed to promote public health and safety at swimming pools, lakes, and beaches. The code is enforced by local health departments. It controls everything from chemical levels and disinfection to building materials and electrical systems. Way, way too much to go into for one simple blog but if you’re curious about the whole code I will post a link to the full document at the end of this blog. Probably the most common time that people encounter any part of this code is when the water quality does not meet standards and must be closed until the problem is addressed. There are other codes that apply (namely building and electrical codes) but this is the most comprehensive one specifically concerning pools. “One thing I would point out is that there are a number of different types of facilities that are exempt from the lifeguard requirement so it is important for parents to know if there is a lifeguard. When there is no lifeguard on duty, no one should ever swim alone. Hotels are often one of the types of facilities that are excluded from that lifeguard requirement so that is hugely important to note. Fortunately, all of our instructors here at Making Waves are lifeguard certified. A HUGE thank you to John for helping me with this blog. His input was essential to making sure I got my information correct. Thanks again!! !